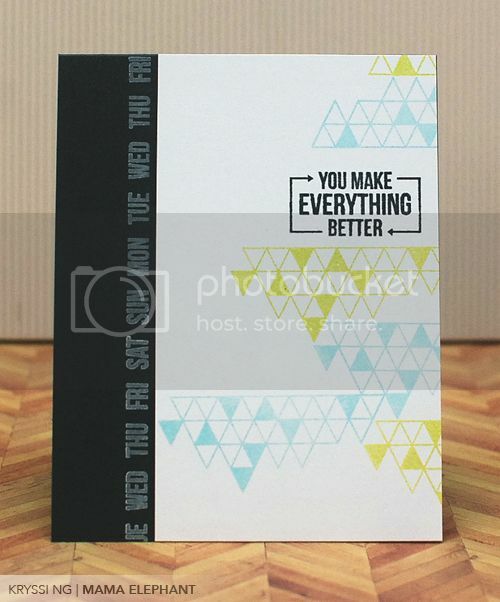 Today Was is a very versatile set that is designed with scrapbookers and daily documentation in mind, but it can easily be used for cards as well. I would've totally done a Project Life card for today but right now my working space is quite messy. We are in the middle of transitioning the kids to bunk beds and moving my office space around. I think I'll get back to the scrapbooking groove once all the dust settles. Today Was will be available for purchase on March 15th. Today Was comes in a 4x6 clear acetate sheet and will retail for $15.00. Today Was contains a total of 14 stamps. The chevron frame image measures approximately 2-5/8" x 3-1/2". Today Was label measures 3" wide. The diameter of the ampersand circle image measures approximately 11/16". I created two cards, both with very different flairs. 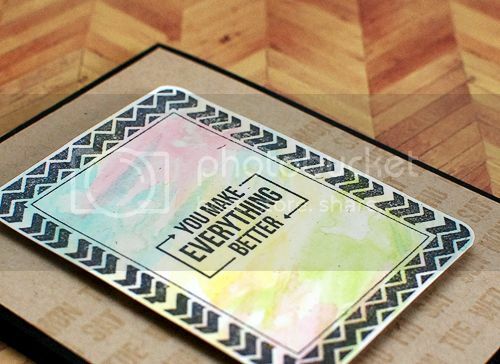 This first one uses one of the little triangle stamps, great for graphic cards. Everything you see here is included in the Today Was stamp set! The days of the week is one long border stamp. Here's my second card showing off the frame that comes with the set. I watercolored the inside of the frame with various colors. Here's a better shot. Alright, back tomorrow with more! Love these stamps!! What a great looking set so far!! I can already tell this will be a favorite! 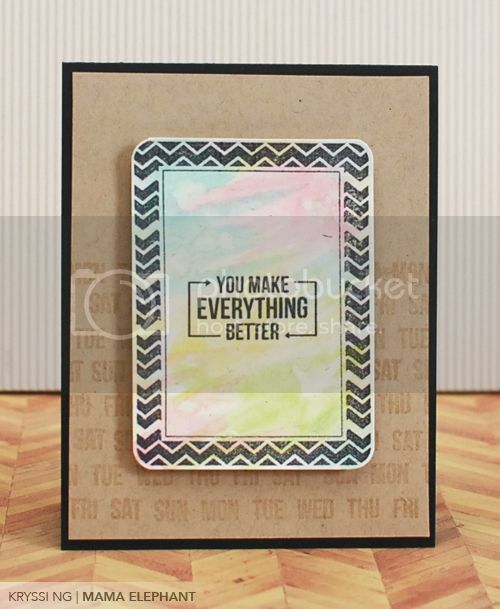 Such wonderful cards - love the watercolors paired with the graphic frame.